My daughter loves books. She can not read yet, but she does know most of her books by heart. She can just as easily recite them to me, as have me read them to her. She has quite a long list of favorites & many of those favorites are Dr. Seuss books. When I heard that they discovered & released a new Dr. Seuss book I was so excited. I ordered one right away. The day that I received it, I waited until my daughter’s bedtime before reading it. It did not disappoint. Mai adored it just as she did with the books before it. That evening she made me read it 3 times. 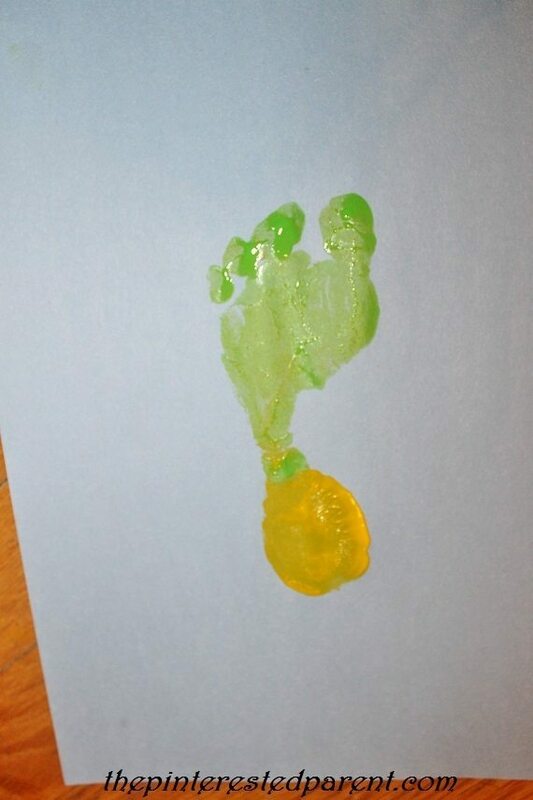 We had been doing a lot of footprint crafts lately. 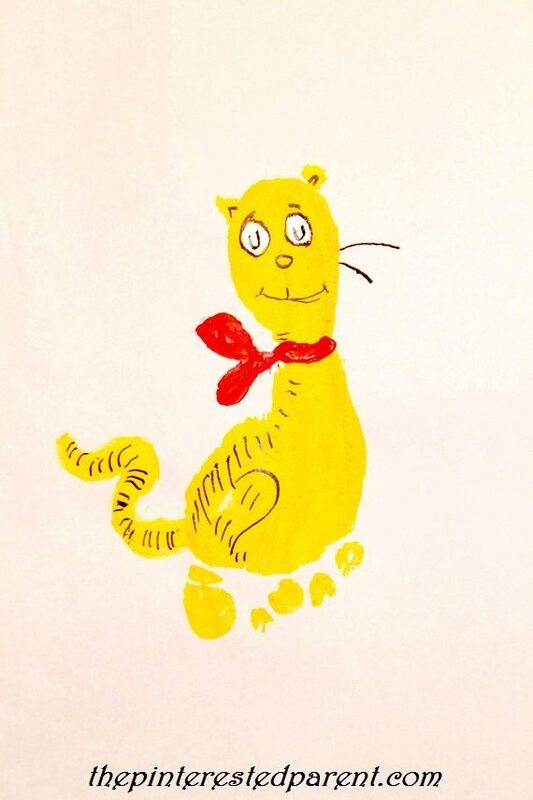 We made animals from A – Z, some Halloween inspired feet & we experimented with famous works of art. We have made so many that I have started seeing feet everywhere. 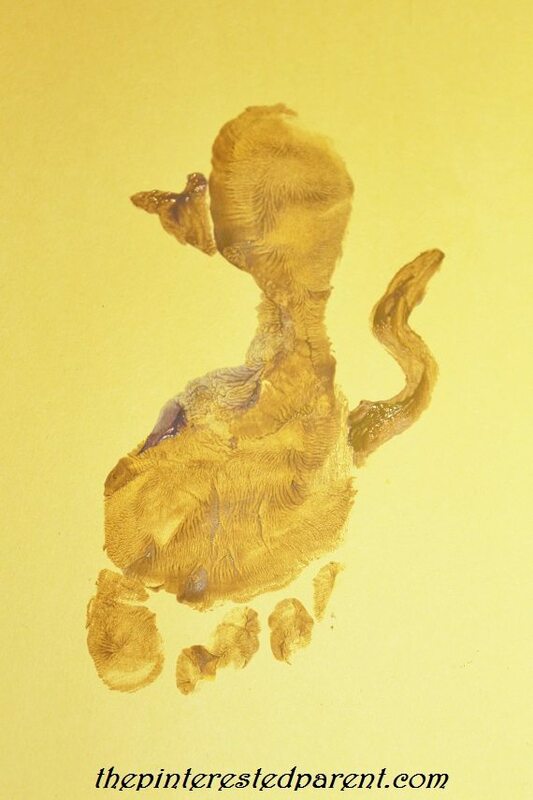 As I was reading Jay & Kay’s adventures in the pet store to my daughter for the 100th time the other night, I actually started seeing some of the creatures as footprint art in my head. I might have a problem. I think you already know where I am going with this. 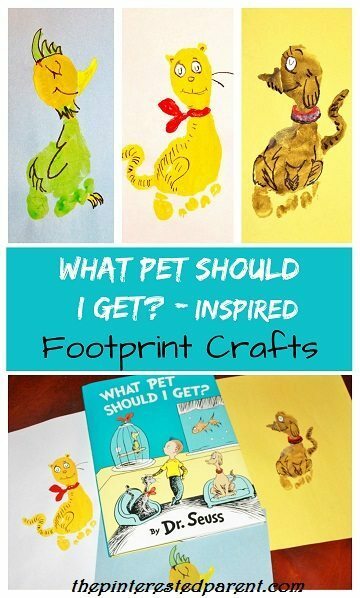 Here are a few footprint crafts inspired by the book. 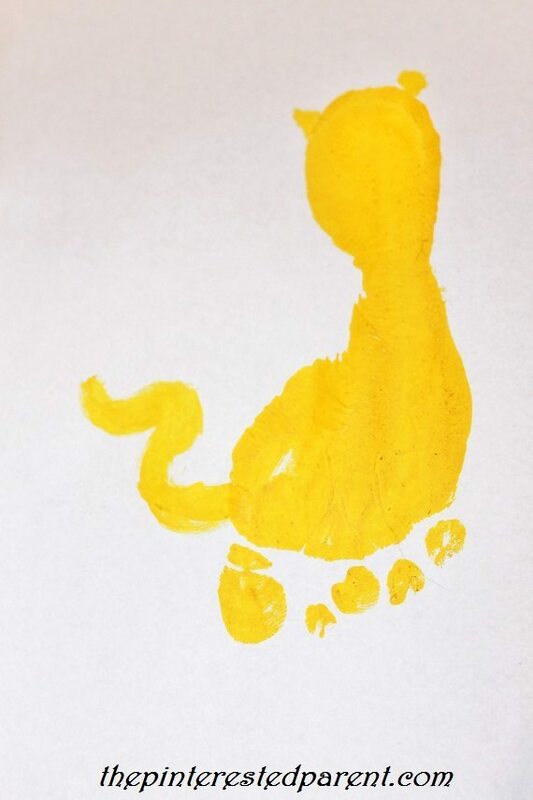 I painted my daughter’s foot in yellow & pressed it onto a piece of paper. 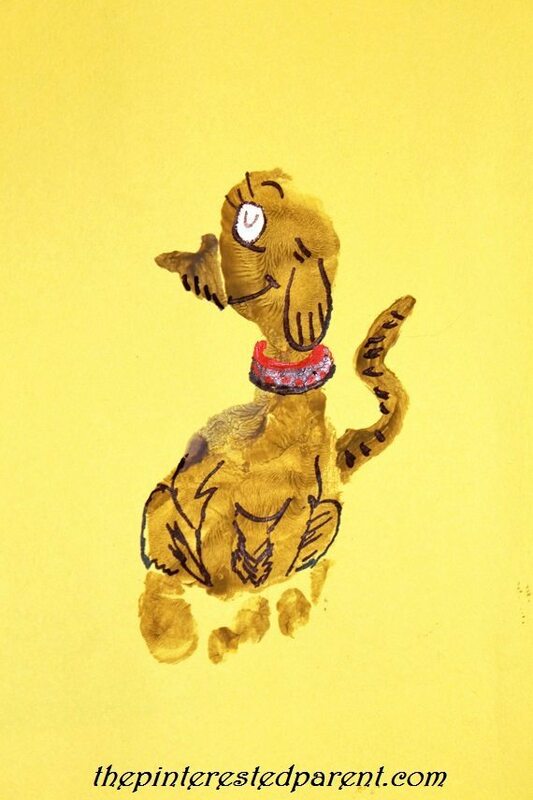 I used the same paint to paint in a tail & ears & the added a red bow around its neck. I dabbed on two spots of white for the eyes & then let everything dry. I used a Sharpie to draw in the lines for the details. These are all pretty similarly made. 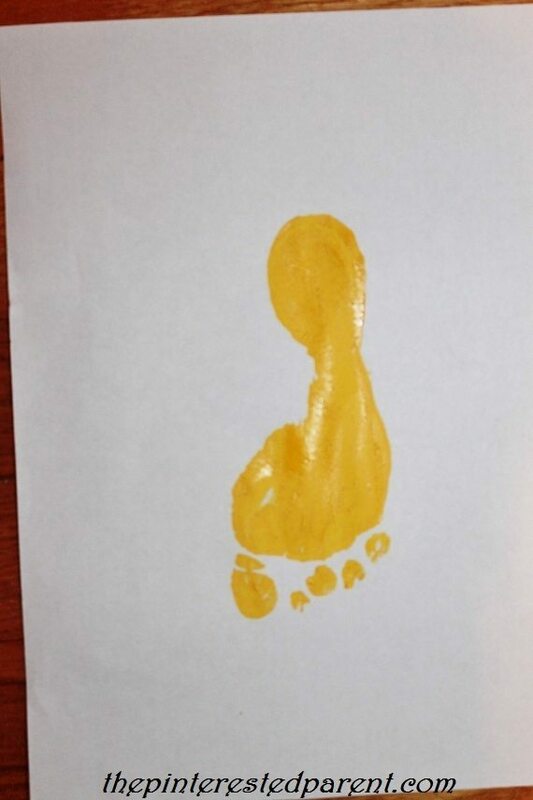 The same as above, I painted my daughter’s foot in brown & pressed it onto a piece of paper. I painted in a tail & his snout. I dabbed on one eye & painted in a collar. I let it dry and then drew in the finishing details. 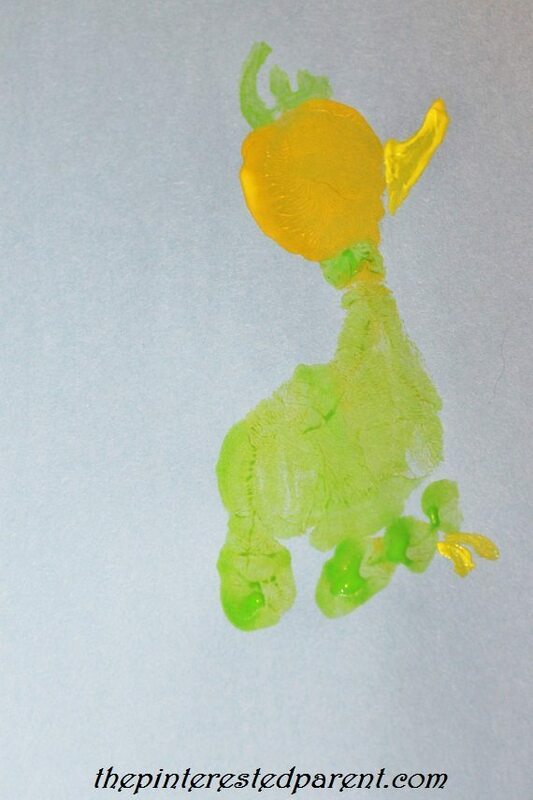 I painted my daughter’s heel in yellow and the rest of her foot in green & then pressed it onto a piece of paper. 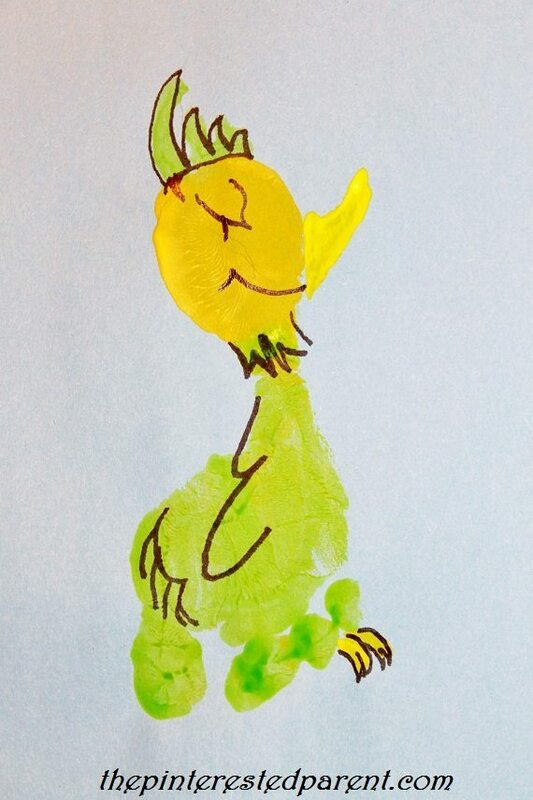 I painted in a beak with the yellow & head feathers in green. I let it dry & drew in the rest of the details. From what I understand there are plans to release more books from this collection of works that they have found. I cannot wait.